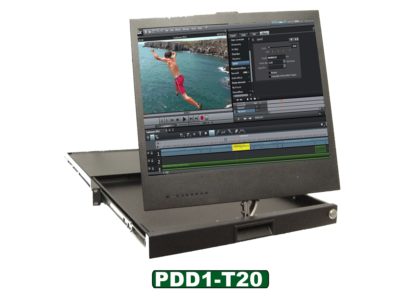 PDD, What Does that Mean? 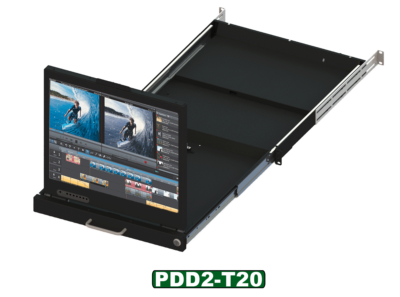 PDD is short for Pivot Display Drawer, and that all it Is a Drawer that has a Display that when stowed folds into a Rack drawer that is only 1U or 1.75″ in Hight. 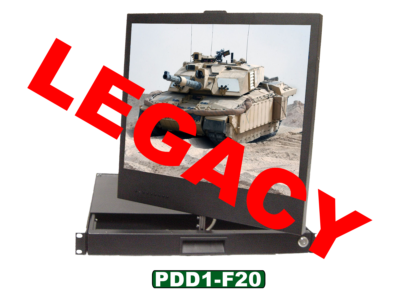 when it is pulled out it can Pivot from a flat position to a fully deployed position. 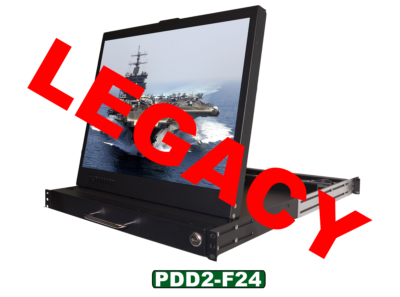 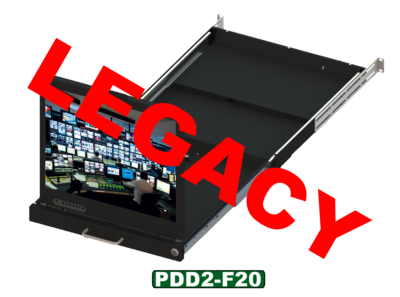 The PDD1 was our first generation of Pivot Display Drawers and its unique design gives it the ability to not only Pop up drom a lay flat position but it has the added ability to Pivot around its center Axis. 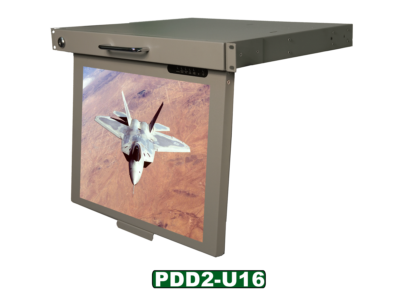 Here is our offering of previous models and products. 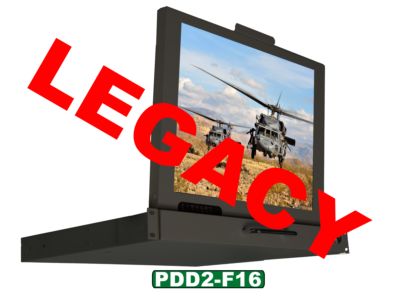 Please Note: Legacy products do not have the breadth of features and support available with our current line of DITHD products.